Monday to Saturday from 10.15 a.m. until Late, and Sundays and Bank Holidays from 11 a.m. until Late. The no. 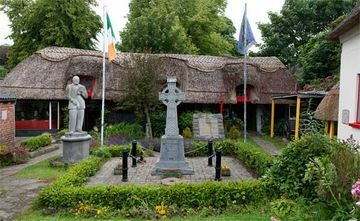 1 museum in Co. Tipperary every year since the first year it was ranked on Tripadvisor. Cashel Folk Village is a multi-award winning museum, containing an incredible, vast collection of original memorabilia relating to many different periods of Irish history, and we welcome all visitors on what we hope will prove to be a very interesting, educational, and inspiring journey to the real, unadulterated history of Ireland. Free entry for up to 2 adults and 4 children up to 18 years of age when you spend 15 euros at Cashel Folk Village. 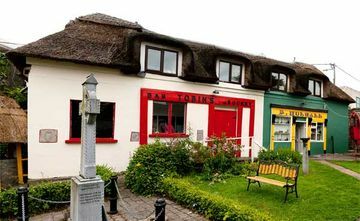 Cashel Folk Village would like to acknowledge and pay deserved tribute to the Tipperary Tourism Company, Failte Ireland and their entire teams for their fantastic collective effort to promote Tipperary Tourism in all its facets. We particularly would like to acclaim their ongoing attempts to make Ireland’s Ancient East a must-do experience, similar to the success enjoyed by the Wild Atlantic Way. 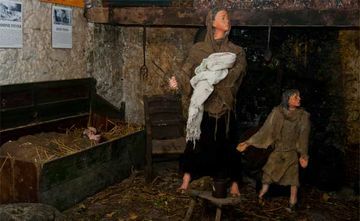 Cashel Folk Village, while originally the suggested birthplace of Rev. 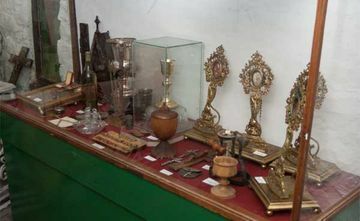 John Lanigan D.D., who wrote the famous tome The Ecclesiastical History of Ireland, was founded as a museum in 1984. 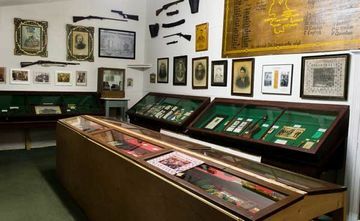 The founder of the Museum was Martin O’Dwyer Bob, one of the foremost historians in County Tipperary. Martin was the Chairman and co-founder of The Cashel Historical Society, and was the Author of 8 books on Irish/Tipperary history. Not alone that, he was also the inspiration/driving force behind the creation of St. Marks Famine Graveyard in Cashel, which is both a sad but nevertheless inspirational memorial to those poor souls who died, and were originally buried in unmarked graves on unconsecrated grounds during The Irish Famine in Cashel. Current Curator is Bernard Minogue, son-in-law of the founder. 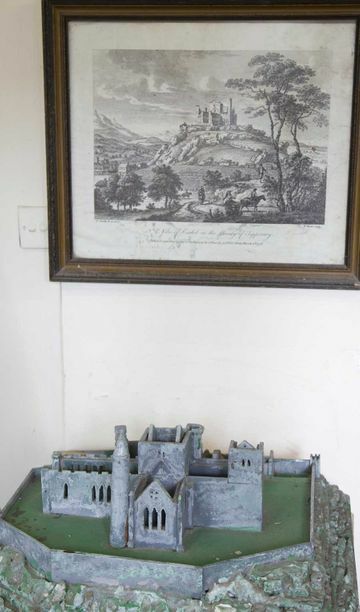 Bernard's family background offers a Unique Historical Link to the nearby world famous Rock of Cashel i.e. his father, grandfather, granduncle, and great grandfather were the last SOLE CARETAKERS of The Rock. Also, his first cousin, Elaine Moriarty, is now Chief Guide at The Rock, maintaining the unique family link to the castle from as far back as 1892. When you are visiting the Rock of Cashel, directly under The Rock is an old stone house/rock cottage which was built in the 19th century. 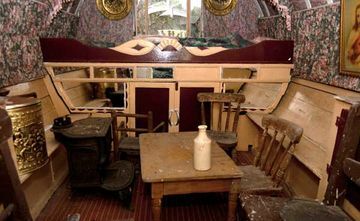 This house has been home to the Minogue Family, as Caretakers of The Rock, since the 19th century. Bernard Minogue not alone lives inside in the house, but was actually born in the house also.